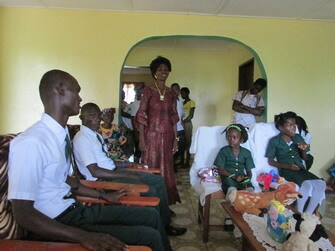 MA ESTHER + her children have a reason to celebrate. It’s graduation time for 4 of her children!! Daniel Kollie + Ezekiel Toe are Gr. 12 Graduates. 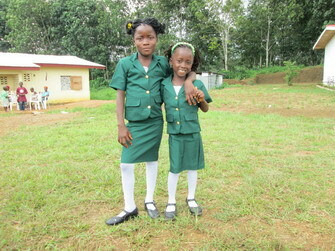 Pauline Zannie and Favor Iyke are graduating from Kindegarten to Gr. 1. Let’s have a party!!! 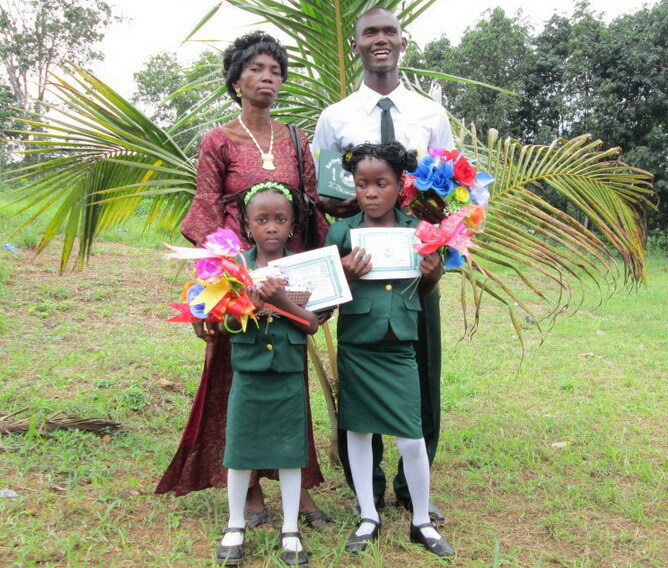 Ma Esther stands with Daniel, Favor and Pauline as they proudly show off their diplomas. 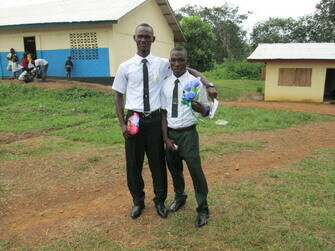 Daniel and Ezekiel standing outside their school. Pauline and Favor are so happy to be in Gr. 1. Grad Ceremonies at the School. 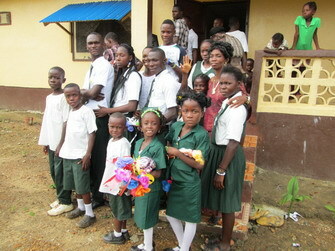 Group Photo with our Grads back at Ma Esther’s House. Home Party at Ma Esther’s in honor of our grads. Ma Esther made special food. 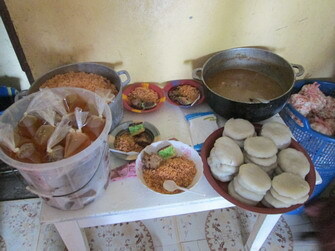 Everyone had fufu and soup plus popcorn and candy. This is a memorable day!! Ma Esther knows how to make each child feel special. What a blessing she is to these children. 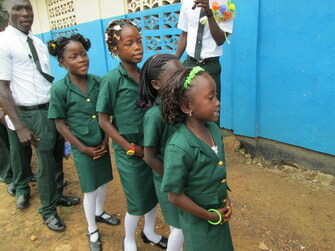 Thank you to the sponsors of these dear children. Your giving makes a difference! Great to see these dear ones being blessed with great favour. Look what the Lord can do when each one of us does their part to be a blessing to those in need. Thanks Lynn & Bob for being a big part of this work! God is so faithful. What a Father!! That is so awesome!These pictures bring back so many memories of being at Ma Esthers. God is good all the time!Would love to go back and see them again!! Our next trip is coming up this coming January. You are invited to go with our team! We would LOVE that! !